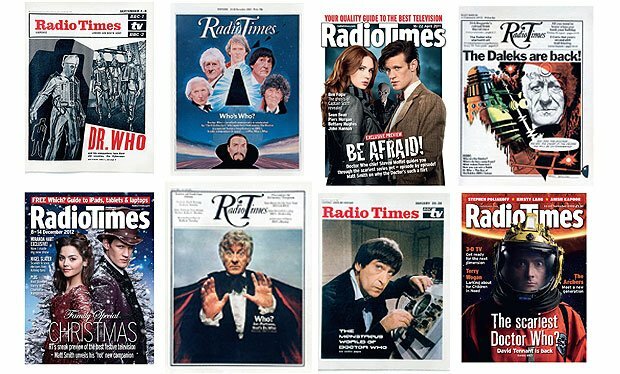 If you have the chance to getÂ Radio Times magazine do it: in order to celebrate 50 Years of the BBC sci-fi sensation, we’re giving away eight classic Radio Times Who covers in the form of these fantastic collectable postcards. The new issue ofÂ Radio TimesÂ (covering the week 16-22 February) is on sale from Tuesday 12 February, priced Â£1.60. Free with the new issue ofÂ Radio Times, the images range from an early appearance by the Cybermen to an iconic shot of Second DoctorÂ Patrick Troughton; a comic-book style clash between the Daleks andÂ Jon Pertwee’sÂ Third Doctor, to a historic five Doctors cover â€“ plus encounters with the Time Lord’s latest incarnationsÂ David TennantÂ andÂ Matt Smith. There are two sets of cards to collect, each featuring four different designs â€“ get your hands on the whole lot from Tuesday 12 February, when the magazine materialises in newsagents. More information over here. You can also take a closer look to the postcards. Eclectic Ephemera: Der dritte Liebster!